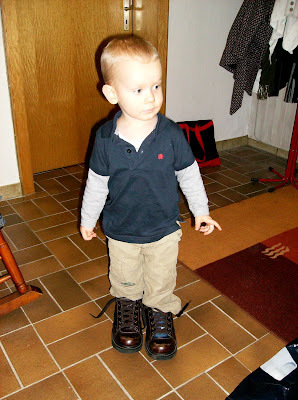 I am practicing walking in mom's shoes these days. I thought I better get used to big feet sooner than later. Those of you who know my dad know why that is... .